Posted in Road bikes, What Road bike for me? 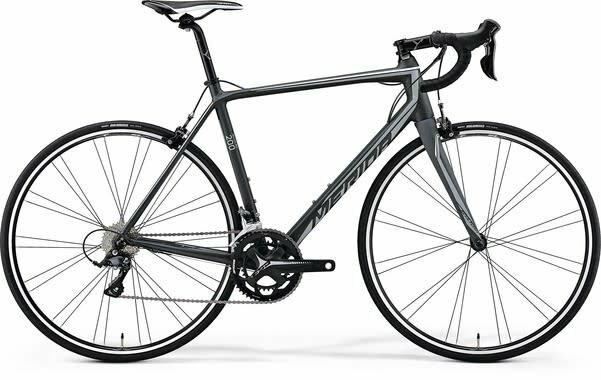 How to select the right road bike for me. A breakdown of the types of road bikes and the differences between carbon and aluminium. This is a question we get quite a lot in our shop but it is one that can be very tough to answer without explaining all the facts. Decades ago there was one type and that was it. Off you went with a bike that had thin tyres and dropped handlebars. But these days there is a much wider variety of styles and even materials available to choose from. Aero bikes, gravel bikes, endurance bikes, climbers bikes, carbon bikes, aluminium bikes and on and on. It's enough to make your head spin trying to pick the right one for you. This guide will go through the most popular types and hopefully help you sift through the jargon. Have a budget in mind when looking at a new bike. A good quality entry level road bike can begin at roughly €700 and then proceed to professional level bikes reaching easily over €10,000. Most of our customers tend to spend €1000 on their first road bike. This will get you a quality name brand bike such as Merida, Cannondale or Lapierre with an aluminium frame and carbon fork. Components like groupsets will vary depending on the brand (groupset is the name for the collective gear and brake parts on a bike). I always explain that the frame is the most expensive part of the bike and all the other parts can be upgraded later if the customer would like to increase the performance of their bike. Not every cyclist has the same needs when it comes to their bike. Sportive riders (organised long distance, generally non-competitive events) tend to value comfort more than anything without sacrificing too much speed. Whereas racing cyclists tend to favour stiff and aggressive race geometry bikes to squeeze out as much speed as they can. Endurance road bikes will have a relaxed geometry sitting the rider slightly higher at the front of the bike. This is good for relieving stress on your back leading to a more comfortable ride. Whilst this will give you comfort you will not be as aerodynamic and will catch a lot of wind meaning you will have to push marginally harder. Almost all endurance bikes can be lowered on the front end to suit the riders flexibility so you are not stuck with this higher position. Endurance bikes are engineered for comfort and this is not limited to a higher front end. These bikes will include features in their frames to allow extra movement intentionally. This is primarily located when the saddle meets the frame of the bike with the idea if there is some movement in the frame then it will break down some of the stresses from riding over bumpy road surfaces. This in turn decreases the stress felt in the riders lower and leads to a nicer riding experience. Example of an endurance geometry bike. Lapierre Pulsium 900 FDJ Ultimate 2018. Notice the design around the top of the seat tube to allow movement and decrease stress on the rider. You will see pro-riders race endurance geometry bikes during events such as Paris-Roubaix. This takes them over some very unforgiving cobbled sections and they will need a bike that can absorb a huge portion of the stress and decrease the fatigue on the rider. Stiffness is king in race bikes. The stiffer the bike the less power is lost when the rider presses hard. If you can imagine a rider sprinting full gas and if the bike were to flex underneath them, they would lose energy in that un-needed movement. The stiffer the bike then the less movement of the frame meaning more energy reaches the wheels and creates more momentum. Race geometry bikes will also be a lower on the front end to allow the rider to be more aerodynamic and save energy. Race geometry bikes can also be sub categorized into standard (sometimes called a climbers bike) and an aero bikes. Their names describe them pretty accurately. Climbers bikes have minimum weight in mind to increase performance while climbing. While aero bikes are designed to increase aerodynamics and decrease wind resistance. Due to the extra materials used to make aero bikes more aerodynamic they tend to be marginally heavier than their climbing bike counterpart. 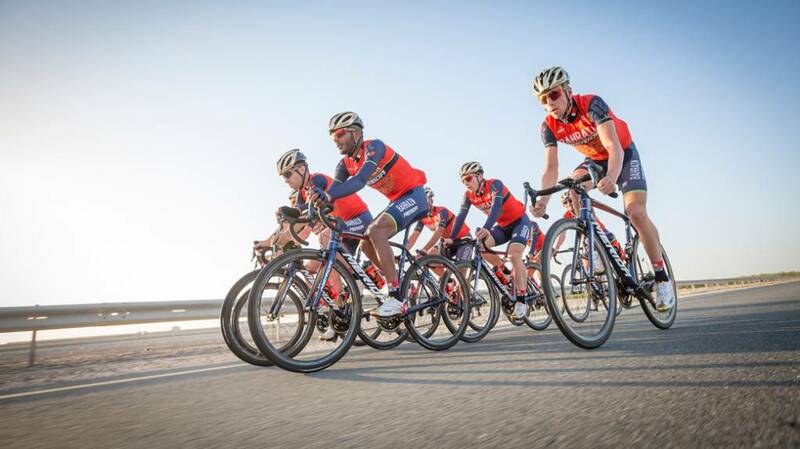 Professional cyclists would choose a bike depending on the profile of the course they are riding. Aero for flat courses and climbing for lumpy courses. While aero bikes will be heavier this will not effect the rider too much if the stage is flat. In flat the aerodynamics will save them energy. Example of a 'climbers' bike: Cannondale SuperSix Evo HM with Sram Red Etape. Notice the thinner tubing to reduce weight. See HERE for more info. Racing geometry bikes are not limited to carbon. 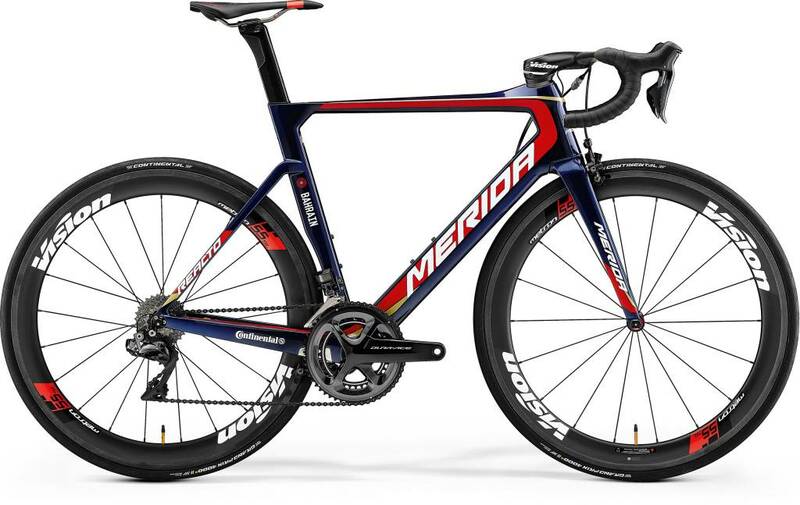 Brands like Merida produce their Scultura race bikes in both carbon and aluminium versions. So you can have a race bike with a lower price tag, but it may not give you the same performance. Aluminium and carbon are the most popular materials used for a huge percentage of the road bike market. The majority of road bikes under €1700 would be predominantly aluminium. And whilst aluminium is the cheaper of the two main materials, it is by no means the inferior. Aluminium is a straight forward material, where tubes are formed and then welded at the joints. This can be cost effective, hence the lower price tag. But Carbon frames they can be engineered to a higher level to increase stiffness where needed and to decrease where it isn't. The simplest way to explain this is by comparing the bottom bracket area (area of the bike where the pedals meet the frame) on carbon and aluminum frames. As the rider sprints or climbs out of the saddle the bottom bracket area comes under stress. Aluminium bikes will move more because this area of the bike contains four points of welding. This will result of a loss of energy that is transferred into the wheels. A carbon frame manufacturer will apply layers of carbon to achieve the amount of stiffness they desire in different parts of the bike. 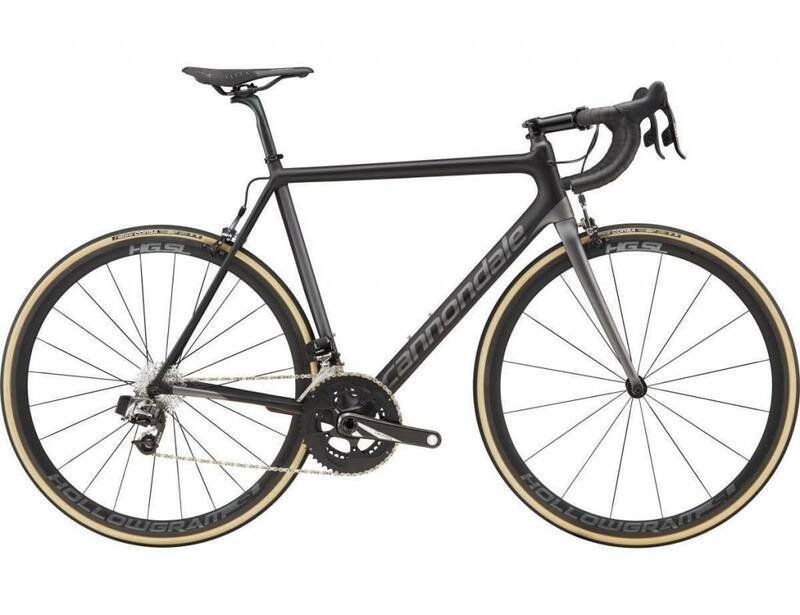 However, there are companies such as Cannondale that are producing high end aluminium road bike like the CAAD12. Cannondale have been a noted frame builder from the U.S.A. that made high quality bikes before carbon was widely adopted as a frame material. The CAAD12 has a more sporty geometry and that combined with a highgrade lightweight aluminium creates a fast ride without the carbon price tag. Try before you buy. I recommend going to a dealer and trying out a carbon and aluminium bike for yourself and see if you notice the difference. A lot of my customers have a different idea of what kind of bike is nicer to ride. I could churn out lectures on why one brand or material is better than the other, but the truth is that it is what feels good to you. Aluminium: slightly heavier and higher flexible but a lot more affordable. Endurance/Comfort Geometry: Very slight loss in speed, more flex to allow for more comfort on longer or rougher spins. I will do my best to answer as many questions as I can in the comments section below or alternatively you can email me at mike@360cycles.ie or call our shop on 00353876599247.